In seven years I lived in China , I noticed that mantou, rice and noodles were eaten the most among all their staple food. Mantou, known as Chinese steamed bun and other wheat products are staple among people living in northern parts of China. Whereas, rice is a staple of Southerners. The warmer climate of the south makes it favorable for rice production. This is the reason why rice, rather than mantou, is the staple food of Southern Chinese diet. My love for mantou started in 2001 when I went to China to work. The Director of Foreign Affairs Office welcomed me upon my arrival with two dense white bun. I had no idea what they were. He put them in the fridge, told me what they were and reminded me to steam them the following day for breakfast. The next morning I got woken up by a ring from the Foreign Affairs Office. They asked if I could join them for breakfast at the Staff canteen. I took a quick shower, threw on a nice attire and went.When the dishes were served, the first thing which caught my eyes were these beautiful freshly steamed buns. I remembered them from the night before. Since I was a "VIP", the Director took the chance to teach me how to eat mantou. The bun was bland when eaten on its own but tasted great when sop up with sauces. I liked it so much that I ate the ones in the fridge that night with a bowl of Chinese noodles. That was the beginning of my mantou adventure. I am back in Thailand. Mantou is not readily available here. The only time I can get to eat them is when I go to Chinese Restaurants. And getting Chinese food happens once in a while as they cost a lot here. So the only way I can have them whenever I crave for it is make them at home. 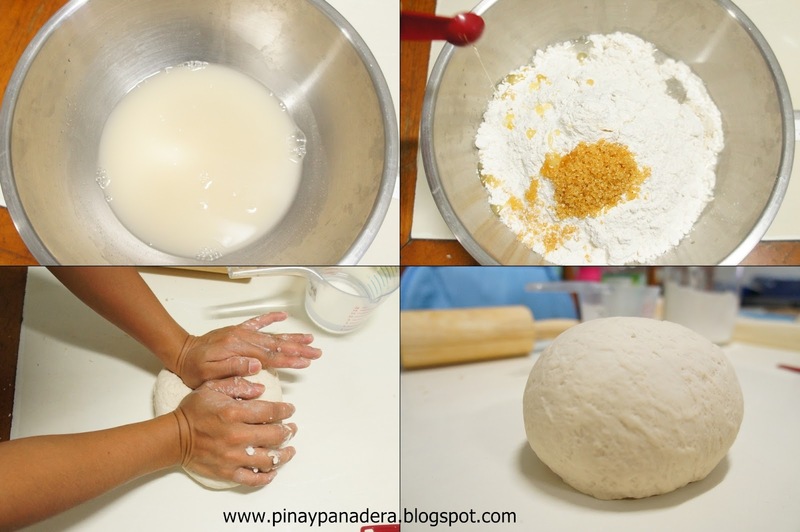 I Googled Mantou recipe, browsed more than ten, read reviews and followed one recipe which I found the least intimidating. Thanks Almost Bourdain for making it available to the rest of the world. In a bowl, I dissolved dried yeast in water. I waited until mixture became bubbly before I used it. I mixed dry ingredients in a separate bowl. I made a well in the center, poured in the oil and the yeast mixture and used a wooden spoon to mix. I knead it for 10 minutes until dough was smooth. Note: If using a machine, mix all ingredients, knead dough at low speed with a dough hook for 10 minutes. I set dough aside to let it rest for 5 minutes and laid it on a slightly floured surface. 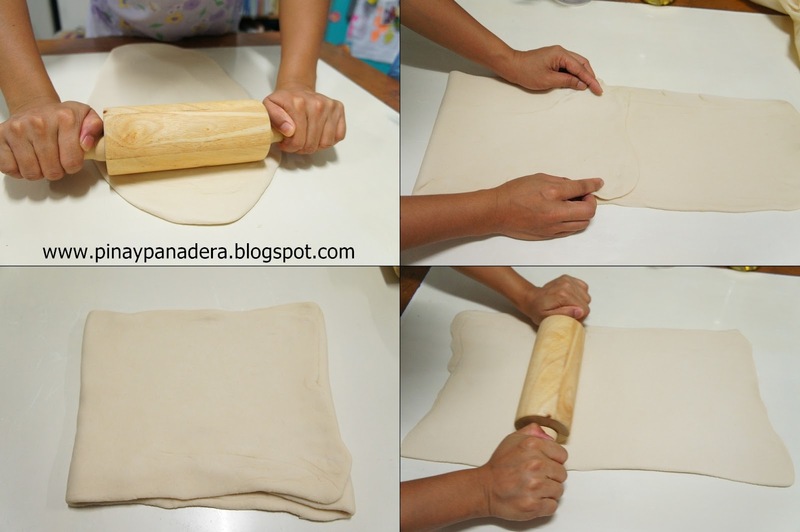 I rolled out the dough to a 70 cm x 15 cm rectangle. I performed a three-fold as pictured . I rolled it out again to a 45 cm x 25 cm rectangle. I brushed the surface with water with a pastry brush. 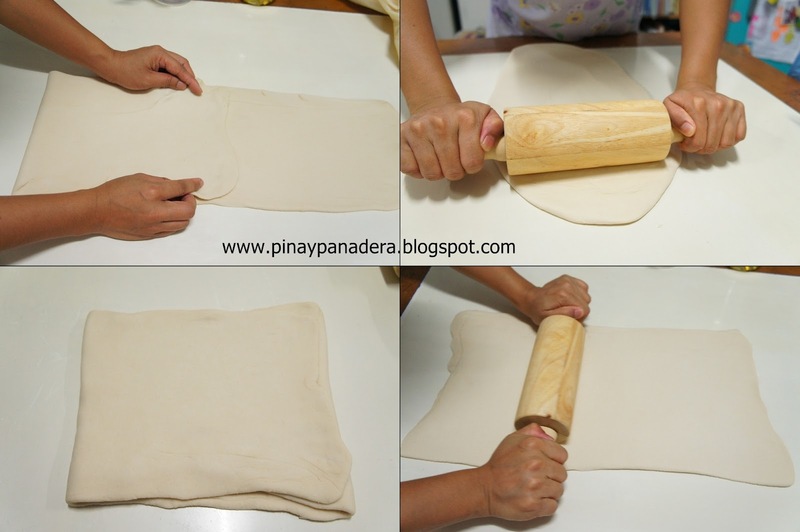 To form a log, I rolled out the dough tightly from the longer edge. With a bread knife, I sliced the log into 10 pieces. I cut 10 square pieces of baking paper slightly larger than the bun. I laid the buns on square baking papers. I covered them in damp cloth to let them rise. I arranged the buns in a steamer and steamed for 20 minutes until puffed and cooked. My cousin brought home adobo. It smelled so good that we could not resist it. We dipped our mantou in adobo sauce and dang, it tasted so much better. 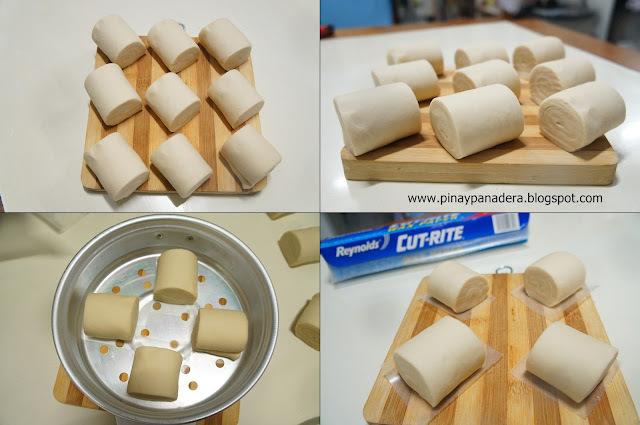 Making mantou from scratch was a great experience! I will definitely make them again soon.